Nestled at the heart of an Arts and Crafts style home, this light, peaceful kitchen took inspiration from both the house and its owners. The clients were heavily involved in the design process from the start. With only a rough idea of layout, the brief was to keep things simple, yet reflect the same craftsmanship and detail found elsewhere in their impressive home. It took five sets of drawings before a final design was agreed. When presented with a choice of oak or elm, the client opted for elm but preferred a ‘less-knotty’ look. We happily endeavoured to find the perfect piece we knew they would love. Finely crafted details catch the eye at every corner. 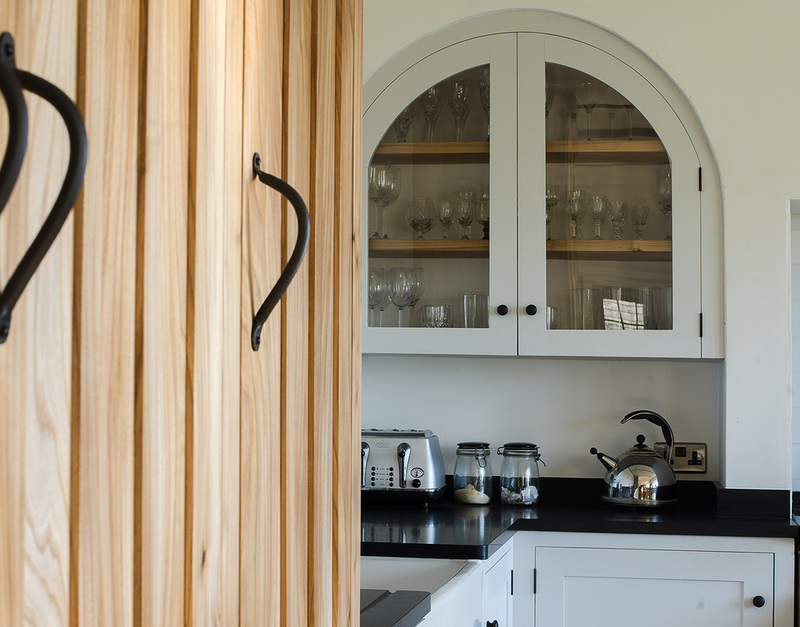 The gentle arch of the built-in glass cupboard is inspired by the home’s front gates. 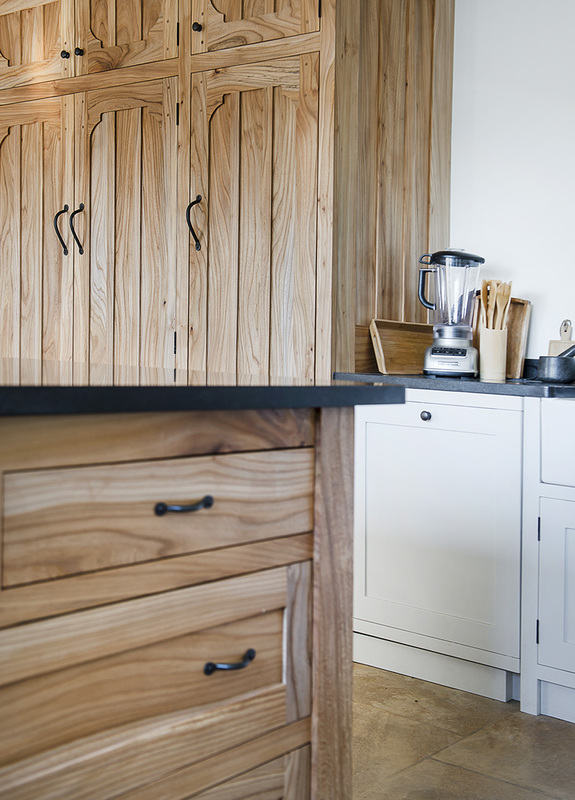 The warmth of the natural elm cupboards is juxtaposed with dramatic Nero Assoluto granite worktops. A neutral paint finish (Slaked Lime Mid by Little Greene) lends crispness to the walls and existing units, while stainless steel lamps and hand-forged waxed handles give elegance to this graceful, balanced kitchen.